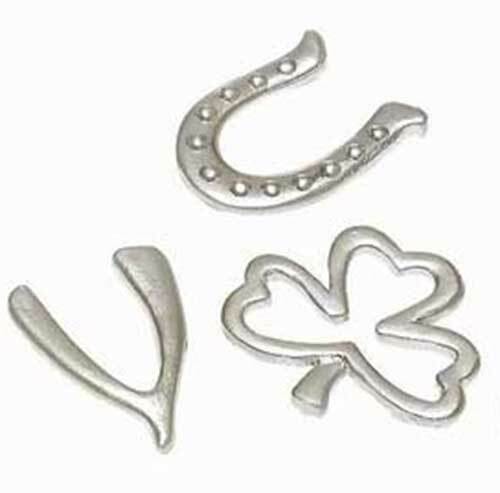 These pewter Irish charms include a lucky horseshoe and they may be carried by a bride on her wedding day. This set of Irish charms features a shamrock along with a horseshoe and a wishbone. These 3/4" size lucky charms are made of pewter and include an Irish blessing. The pewter charms are presented in a green organza pouch along with a shamrock history card, complements of The Irish Gift House. These pewter charms feature a moon and sun along with an angel with an included Irish blessing.